PANDA is one of the five tastes, together with sweet, sour, bitter, and salty. This fifth taste, popularly referred to as “savoriness”, is the essence of East Asian cuisine and the key element in creating fast yet enjoyable meals. 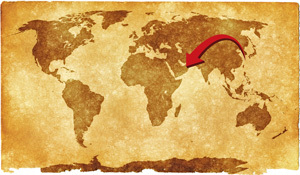 The array of dining experiences that the Far East offers is extensive. 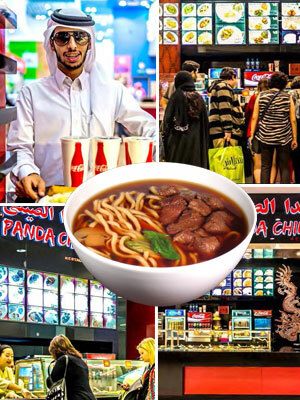 Having surveyed the current Dubai food court offerings in the area of East Asian cuisine, we have carefully compiled a collection of food items either never seen in the Dubai food scene before or have not been represented correctly by current food court operators. As opposed to many existing East Asian concept QSR’s that focus on generally traditional cuisines, we will be presenting our customers with everyday urbanized items that have been tested and proven to be more popular with today’s consumers. We believe these offerings will be an exciting and fresh addition to any existing food court in the region. The point is not just simply introducing new items but to introduce new items that Dubai customers will love and come back for more. Since opening its first banquet restaurant in Dubai's Al Ghurair Centre in 1980, Chinese Palace Restaurant has been widely acclaimed by countless customers for its authentic Chinese cuisine and attentive service. With overwhelming support from local partners and communities, Chinese Palace Restaurant was given the opportunity to pioneer various Asian quick dining restaurants in the region to meet the rising demands in both quick and casual dining. Today, with its groups of restaurants each leading in their individual markets, Chinese Palace Restaurant Group has set its goal on only bringing offerings of the highest authenticity and excellence.